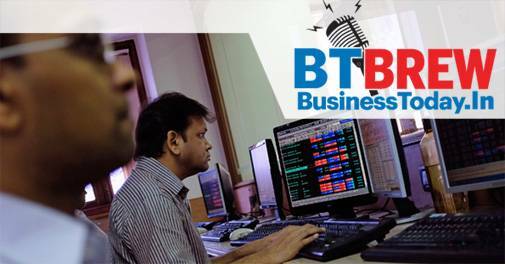 The BSE Sensex fell 12 points to close at 34,415 as participants turned cautious after minutes of the last Monetary Policy Committee meeting indicated the Reserve Bank may shift to a hawkish stance in June. However, IT stocks stole the show, with TCS emerging as the top performer in the Sensex pack, a day after the company reported a 4.4 per cent rise in March quarter net profit and guided towards a better show in fiscal 2019. Information technology stocks rose after the Indian rupee fell off its 13-month low levels as growing worries over higher crude prices and likely fiscal slippages led to subdued forex market sentiments. IT sector stocks rose the most among BSE sectoral indexes with the BSE IT index rising 611 points or 4.80% at 13,335 level. TCS, Infosys and Coal India were the top gainers on Sensex. On Nifty, TCS, Tech Mahindra, Infosys, HCL Technologies were the top gainers. The 30-share Sensex settled 11.71 points, or 0.03 per cent, lower at 34,415. The Nifty closed 1.25 points down at 10,564. Intra-day, it moved between 10,527 and 10,582. Both the key indices ended higher for the fourth straight week. The Sensex rose by 223 points, or 0.65 per cent while the Nifty gained 83 points, or 0.80 per cent, during the period. Market breadth was negative with 1,187 stocks closing higher against 1,436 closing lower on BSE. 149 stocks were unchanged.